Hannah Alden-Hugli, founder of Alden Academic Services, has always had a passion for sharing her love of learning. Now in her eleventh year of providing unique, evidence-based academic support programs, Hannah and her team of dedicated, caring, and effective tutors take pride in the academic and personal achievements of students of all ages and backgrounds. From a young age, Hannah has loved taking care of others. She began her tutoring in eighth grade when a neighbor, whose son was struggling in math, approached her for help. Hannah was eager to help and immediately met with the boy to see where he was struggling. She tutored him weekly and, within weeks, his grade rose from a “F” to a “C” and then to a “B”! Word spread quickly of Hannah’s success and many neighborhood parents approached her to tutor their children. Her part-time business boomed and Hannah soon was tutoring three nights a week. She continued throughout high school and college. Over the next 10 years, she expanded the business into a full-time career. Hannah’s own early exposure to learning includes education delivered in private, public, and home school environments. These experiences diversify and deepen her perspective and approach in creating a holistic learning environment for her students. Hannah graduated from high school early and attended Diablo Valley College in Pleasant Hill, CA. She then transferred to Roanoke College in Salem, VA, where she completed a Bachelor’s Degree in Business Administration in 2009. 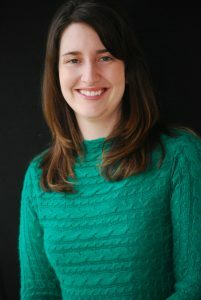 Hannah completed her Master’s in Education with concentrations in mathematics and English and earned a Virginia teaching license for further accreditation.